The Westminster Confession of Faith is a Reformed confession of faith, in the Calvinist theological tradition. Although drawn up by the 1646 Westminster Assembly, largely of the Church of England, it became and remains the 'subordinate standard' of doctrine in the Church of Scotland, and has been influential within Presbyterian churches worldwide. In 1643, the English Parliament called upon "learned, godly and judicious Divines", to meet at Westminster Abbey in order to provide advice on issues of worship, doctrine, government and discipline of the Church of England. Their meetings, over a period of five years, produced the confession of faith, as well as a Larger Catechism and a Shorter Catechism. For more than three centuries, various churches around the world have adopted the confession and the catechisms as their standards of doctrine, subordinate to the Bible. 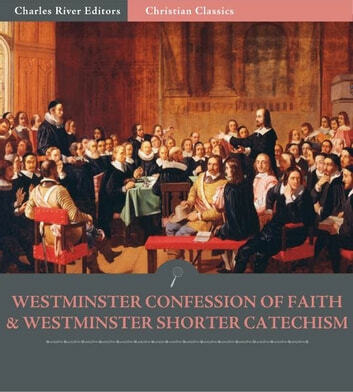 The Westminster Shorter Catechism (also known simply as the Shorter Catechism or WSC) was written in the 1640s by English and Scottish divines. The assembly also produced the Westminster Confession of Faith and the Westminster Larger Catechism. The three documents are considered by many Protestants to be the grandest doctrinal statements to come out of the English Reformation. Completed in 1647, it was presented to the Long Parliament on 14 April 1648. The purpose of the Shorter Catechism is to educate lay persons in matters of doctrine and belief. The WSC is in a simple question and answer format to facilitate memorization. Typically, parents and the church would use the shorter catechism to train their children in the ways of the Lord. New converts are also given the WSC as well as the Confession of Faith and Holy Scripture to study. Various denominations have used the Westminster Confession and Catechism to instruct their members.